Our chemical resistance chart offers detailed information on elastomer resistance properties. With hundreds of materials available, it's critical to select the right elastomer that can withstand the environment or chemicals it's exposed to. 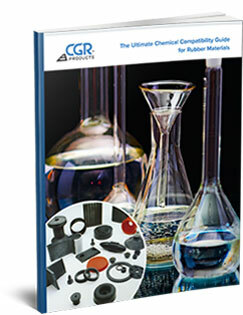 The compatibility guide should be used to rule out any elastomers with undesirable chemical vulnerabilities. Please fill out the form on the right to download your free copy of the guide today.